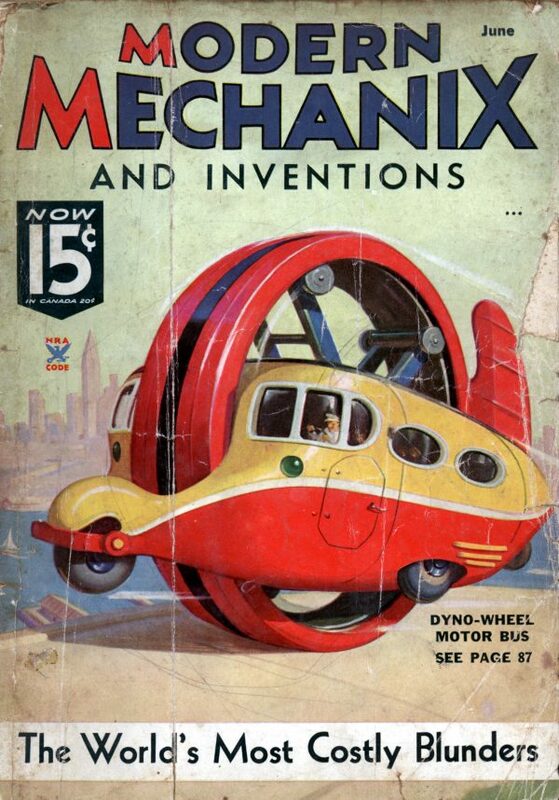 Promising to revolutionize the field of motor transportation, the new Dyno-Wheel bus operates upon practically the same principle as the tiny “Dynasphere” auto which was successfully built by Dr. J. A. Purves of Taunton, England, some years ago. 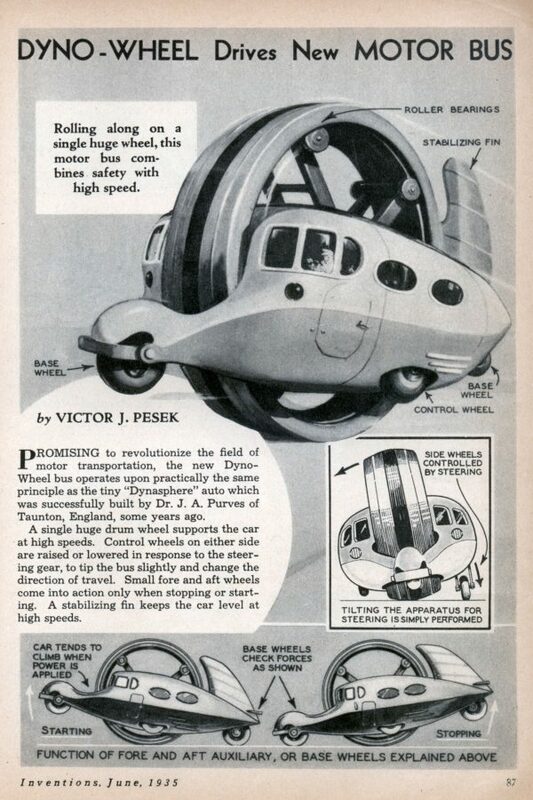 A single huge drum wheel supports the car at high speeds. Control wheels on either side are raised or lowered in response to the steering gear, to tip the bus slightly and change the direction of travel. Small fore and aft wheels come into action only when stopping or starting. A stabilizing fin keeps the car level at high speeds.